We all crave chocolate, but we also all understand the feeling of a looming budget over our heads. 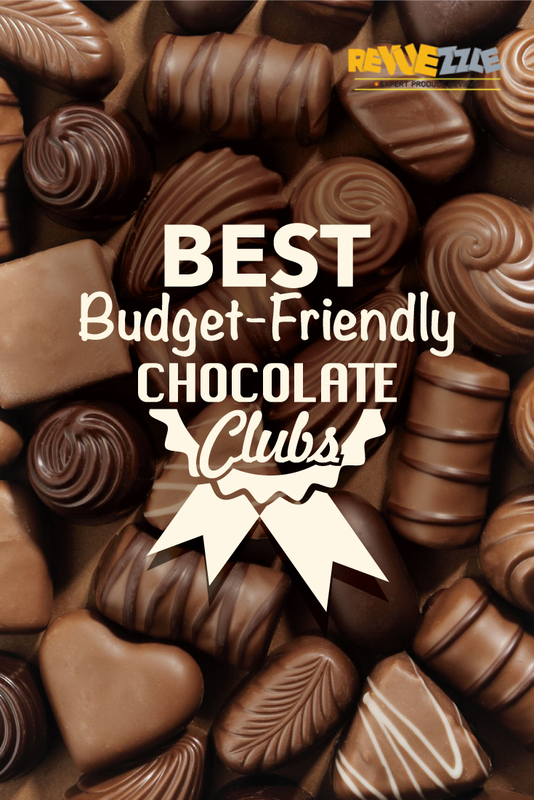 That is why we worked hard to create a list of those chocolate clubs that truly understood the budget-savvy. These clubs are affordable, offer excellent chocolates and still allow you to get your chocolate fix or gift someone a chocolate subscription without having to take out a loan. Don’t let their budget-friendliness fool you though – these clubs are sure to impress yourself or anyone you gift them to. Who would have thought truffles could be so affordable? Chocolate.org offers their Chocolate Truffle club, which is a monthly club delivering an assortment of truffles from artisans around the world. Just some of the truffles that are included in this membership option are their decadent dessert truffles, coconut and espresso truffles, classic French truffles, and even a premium truffle assortment. The amount of truffles per shipment will vary – depending on the quality. The Chocolate Truffles option from Chocolate.org starts at a remarkable $28 per shipment – and shipping is free! Want to save even more? The Chocolate Truffles option from Chocolate.org can now be 10 percent cheaper when you sign up via the link offered by Revuezzle.com. Save 10% with this Coupon. 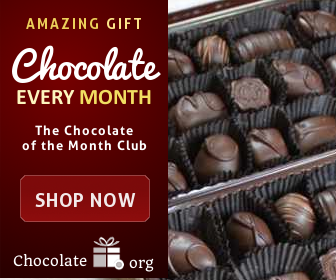 Chocolate.org- Save 10% - Get This Club! Surprisingly, the next cheapest monthly chocolate club we have found also offers a monthly assortment of truffles. Even better, they are Godiva brand truffles – sure to impress. The Truffle Flights Sampler features the truffles from their nut lovers and dark decadence truffle flights collections. Each month you will receive six expertly selected truffles – arranged in a tasting order for maximum enjoyability. Just some of the truffle varieties you will receive include hazelnut, pistachio, dark chocolate and even their chocolate éclair. The Truffle Flights Sampler starts at $60 total for three months – or about $20 per month. Shipping is included, but it is important to note that each shipment only contains six truffles. Prefer only dark chocolate or nut varieties? You can sign up for the Dark Decadence Truffle Flights or the Nut Lovers Flights clubs and receive three months of everything you love all for the same price of $60 total or $20/month. Visit Godiva - Get This Club! The Chocolate Fanatics Three Month Club by Lake Champlain Chocolates may be exclusive to their brand, but that doesn’t mean you won’t see plenty of variety in their monthly membership option. This club focuses on fine, gourmet chocolates and surprisingly, it is an affordable club option for those on a budget. Their Fanatics club features a nine-piece milk and dark chocolate truffle collection, dark chocolate sea salt caramels, and almond butter crunch. The Chocolate Fanatics Three Month Club starts at $100 total for three months or $33.33 per shipment. Want to extend it? If you want to enjoy six months of affordable monthly chocolate deliveries, you can sign up for the Chocolate Fanatics Six Month Club option instead. Visit Lake Champlain - Get This Club! The Chocolate of the Month Club by Clubs of America is this club’s only chocolate club option – but don’t let that fool you. This single club offers more variety and excellent pricing for the amount of chocolate you get. The Chocolate of the Month Club ensures you get the largest selection of chocolates possible. For a flat-rate each month, you get one pound of fine quality chocolate (and no surprise shipping fees). Just some of the chocolate selections you can expect to find include hand-dipped chocolates, truffles, meltaways, creams, toffees, and even turtles. Clubs of America has partnered with chocolatiers to ensure the highest quality and largest selection for their members. Choose anywhere from month-to-month to a 12-month contract for this chocolate club. Price starts at $34.95 per month with free shipping. If you opt for a 12-month contract you will receive $25 off the total – but you must pay the entire year upfront. Want to know where your chocolates come from? Clubs of America Chocolate of the Month Club includes their Chocolate Expeditions newsletter in each shipment, which tells you in-depth information about the chocolates selected, the chocolatier behind them and even highlights the special ingredients of the month. Visit Clubs of America - Get This Club! Clubs Galore’s Chocolate of the Month Club is another large monthly club that is always reliable. They offer gourmet chocolates at a surprisingly affordable price and there are additional membership options (such as adding on coffee or wine of the month too). Members can skip shipments and customize their experience, but there is only one membership with this club. Just some of the delicious choices that members will see include truffles, dark chocolates, peanut butter cups, etc. They don’t offer much in terms of exotic, but their chocolates are curated from around the world and they partner with some of the best chocolate shops and chocolatiers to ensure the highest quality. They specialize in chocolate companies that do small-batch only – so these are not large commercially produced chocolates. Members must enter a three month minimum contract and can commit to as much as one year if they would like. Shipments start at $34.99 per month with free shipping. Craving chocolate at 2:00am? You’re in luck. Clubs Galore Chocolate of the Month Club is one of the few that is available via their toll-free number 24/7 to satisfy any chocolate splurge. Visit Clubs Galore - Get This Club!